YOU have a business | YOU need a succession plan. YOU have a family | YOU need a financial plan. YOU have an estate | YOU need an estate plan. YOU have wealth | YOU need an investment plan. YOU are the focus of everything we do at the Beauchamp Maleki Group. Our expertise lies in the ability to incorporate all of YOUR needs into a singular strategy, using risk assessment and asset management to develop solutions that are astute and reasonable; solutions that match YOUR aspirations and YOUR budget. We strive to establish meaningful and lasting relationships. This approach allows us to develop an understanding on which we base those individual, high value, strategic solutions that are as unique as YOU are. Once your plan is developed and your solutions implemented, we have the capacity to provide exceptional service for years to come. Living this mission is how we bring value to each client relationship. This is what YOU can expect from us. 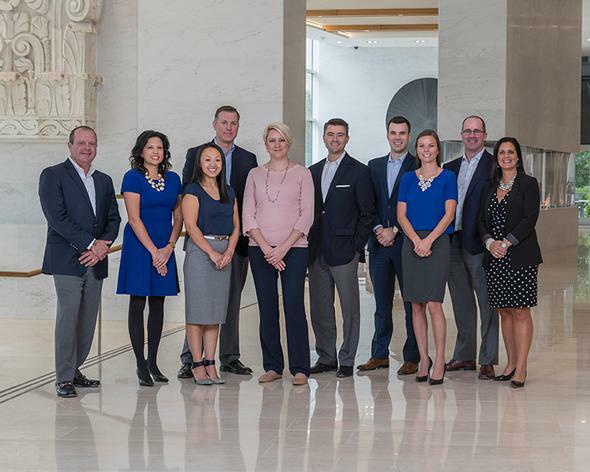 Bryan Bruce Beauchamp , Gina M Natoli , Saede P Maleki and Stephen Beiser use Beauchamp Maleki Group as a marketing name for doing business as representatives of Northwestern Mutual. Beauchamp Maleki Group is not a registered investment adviser, broker-dealer, insurance agency or federal savings bank. Northwestern Mutual is the marketing name for The Northwestern Mutual Life Insurance Company, Milwaukee, WI (NM) (life and disability insurance, annuities, and life insurance with long-term care benefits) and its subsidiaries. Bryan Bruce Beauchamp , Gina M Natoli , Saede P Maleki and Stephen Beiser are Representatives of Northwestern Mutual Wealth Management Company® (NMWMC), Milwaukee, WI (fiduciary and fee-based financial planning services), a subsidiary of NM and limited purpose federal savings bank. All NMWMC products and services are offered only by properly credentialed Representatives who operate from agency offices of NMWMC. Bryan Bruce Beauchamp , Gina M Natoli , Saede P Maleki and Stephen Beiser are Agents of Northwestern Long Term Care Insurance Company, Milwaukee, WI, (long-term care insurance) a subsidiary of NM. Bryan Bruce Beauchamp , Gina M Natoli , Saede P Maleki and Stephen Beiser are Registered Representatives of Northwestern Mutual Investment Services, LLC (NMIS) (securities), a subsidiary of NM, registered investment adviser, broker-dealer and member FINRA (finra.org) and SIPC (sipc.org). Bryan Bruce Beauchamp , Gina M Natoli , Saede P Maleki and Stephen Beiser are Insurance Agents of NM. Bryan Bruce Beauchamp , Gina M Natoli , Saede P Maleki and Stephen Beiser are primarily licensed in WI and may be licensed in other states.